BridgeFactor is fully committed to help technology companies in accelerating their growth. Bridging the gap between technology and market maximizes the potential for growth and value creation. We believe that results can best be achieved when both commitment and success are shared. Understanding the phase that a company currently is in and the potential it’s heading for, enables us to match this with an appropriate type of collaboration and compensation. We have a passion for sustainable technologies and renewable energy. Technology can create a green and clean future. The challenge is to build a viable business on this in order to make it a sustainable future. BridgeFactor was founded by Carola Keesom. She has two decades of experience in business development and marketing in technology companies. Carola holds a MSc in Industrial Design Engineering from Delft University. 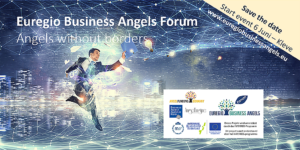 In the ‘Euregio Business Angels forum‘ we co-operate via Angel Funding Germany with angel networks from Germany to facilitate startups and business angels in cross-border investing. The project is funded by the Interreg Program.